You can’t make money on just anything. If you are offering a service it must have value and must be what people want to spend money on. Furthermore, it needs to be exclusive. This is the same with classic cars. There is a wide array of classic cars on offer today – you can get something from the starts of the growing industry when cars stopped being somewhat experimental and started developing faster, which would be the machines from the 1920s or 1930s such as the Mercedes-Benz SSK, or the 710TSS or you can opt for the next-gen cars that began to be of sleeker, one-part resembling shapes of the Porsche 356, or Austin-Healey 3000. Alternatively, you can turn to another jump in styling generation to the likes of the Jaguar E-Type or the Ferrari 250 GTO. Then you have the option to get closer to the philosophy of the current days by buying cars as varying as the Lamborghini Countach, Miura, Mercedes-Benz 600, Lancia Stratos, or Lotus Esprit. You can opt for any generation of the timeless cars such as the Beetle, or the 911, you can go for “youngtimers” (as the Germans call them) such as the E30, W123, W124, W126, R5 Turbo, or Peugeot 205 T16. There are several generations of American muscle cars; you can buy modern cars that are sure to become classics such as the SLS AMG, AMG GT, Veyron, Koenigseggs, Paganis, or One-77; or you can just forget about money completely and buy something like the 300SL, McLaren F1, the mentioned 250 GTO, 540K, or any classic racing cars such as the W196. Among almost each of these options there are cars with varying price ranges and levels of desirability and possibility of increasing value over time, but if you are looking to earn some money in the foreseeable future, you should definitely forget about future classics and most youngtimers. Your options should be pure classics and there are several factors, aside from the price, you should take into consideration when buying a classic car as an investment. But more on those factors a bit later. Now we need to see why some people are doubting that classic cars could be a good investment. Can you make money on classic cars? Even though the most obvious answer seems to be “yes”, some recent reports seem to go in the opposite direction. In an article from mid-2015 which Bloomberg actually named Stop Kidding Yourself. A Classic Car Is (Almost) Never a Good Investment, they state some facts that are pretty scary for the people investing in classic cars. First off, we often read about cars that were auctioned off for huge prices and many of those were found and bought for far less money. Well, this is only about 3% of classic cars that are sold. We can’t really consider this a good rule, can we? Secondly, they mention that Detroit cars from the 1950s are worth pretty much the same they were worth 10 years ago. The trend is similar for the likes of the Beetle, most muscle cars and basically anything that is relatively common on the streets, or in the classic cars field. Next, recession also affects values of classic cars. 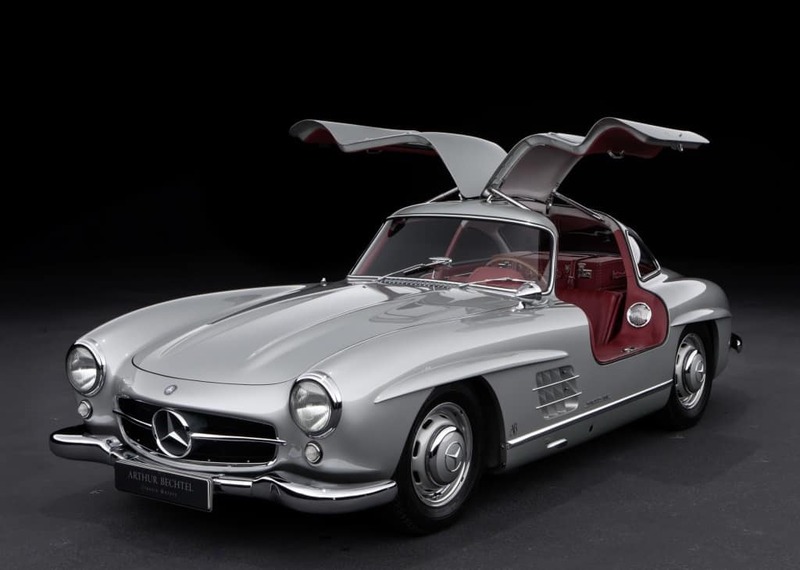 In 2008 and 2009 values of even the most expensive cars like many Ferraris and the 300SL went down by about 20%. So, are classic cars a good investment? YES! Let’s talk about the ideas from the Bloomberg article first. The article itself starts with an example of a 1972 Ferrari 365 which was auctioned off for about $450,000 after being bought for $160,000 just 7 years earlier. A pretty nice gain, wouldn’t you say. However, this is an example of the 3% we mentioned, but this only reinstates the fact that you need to know what you are buying. And this goes for any industry. If you want to make money soon, you should not buy a car that is cheap and that can be found at every corner, just like you shouldn’t expect to make loads of money on a cheap painting of an artist that paints three a day and sells them for a buck a piece. This has nothing to do with cars, but rather with common sense. The cheap painting might be worth something a lot later when there aren’t that many of them, just like a Beetle is sure to be worth loads of money when there are 100 of them left in the world. This basically covers the part about Detroit and muscle cars as well, even though there are some things that show why some of these cars could be a good investment despite the price stagnation. The argument about recession is a solid one, but didn’t recession destroy entire economies and vast majority of business fields? This was a worldwide trend, so following this kind of logic would mean that investing in almost anything is a terrible idea because recession can cause problems. Tell that to the oil industry where prices plummet and rise very often, but investors still consider it a major field. Have you ever seen a poor oil baron? Me neither. Moreover, the article also states that “post-recession, the rebound was swift”, adding that the trend is by no means secure. However, the rebound is far faster and more secure than in almost all other fields that were heavily affected by recession (more examples below) and it will move in the same direction as buyers looking for cheaper classic cars recover from the recession as well. This is the middle-class and it certainly takes time for them to get back on their feet. A great example of this is the 1973 Porsche 911 Carrera RS 2.7 whose price has sky-rocketed in the past decade, rising by amazing 669%. No, not a mistake. In 2004 it was worth about $95,000, which was already a cool increase from the starting price. However, by 2011 it was at about $300,000 (just a few years after the recession had started and well before it was over – the example) and now it goes well past $750,000, two of them even being sold for $891,000 and $935,000 in 2015 and 2014 respectively. So, yeah, a pretty sound investment. How to pick a classic car as a sound investment? Or at least be familiar with the field and trends. Get yourself into the whole thing and make sure you are familiar with spare parts accessibility and prices. Once again, you need to know what you are buying. Once you know what you are after, make sure you shop around. Finding the right car for a good price can take time. Classic cars can sometimes be found with significant discounts when sellers are in need of funds and you can profit on a good deal. Moreover, more common cars can often be barn finds – cars that were left somewhere and often forgotten. They are usually in terrible states, but they are most often free for the people who find them and even after an extensive restoration, they make loads of money for the owners. 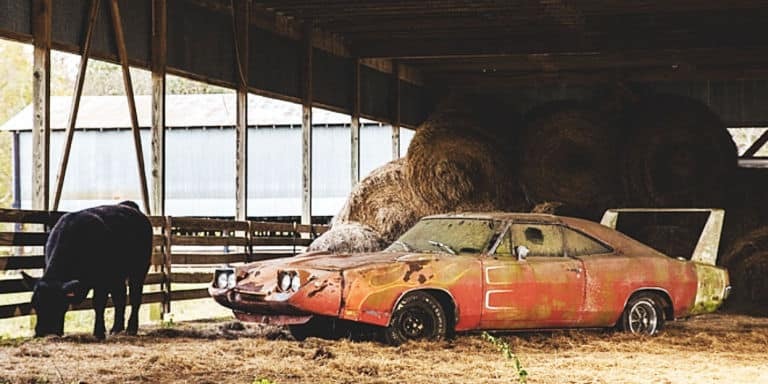 A recent example is a terribly run-down 1969 Dodge Charger Daytona found in Alabama which was auctioned off at Mecum for $90,000. Shopping around for the likes of the 300SL is not really an option, but if this is your target area, money is probably not an issue anyway. I’m not only talking about buying, but about maintenance as well. Even if the car is not incredibly rare, some parts can be hugely expensive. For example, an S-Class model (or a predecessor) can sometimes be found for a very low price if in bad condition, but it was at the absolute top of the industry when it was manufactured (regardless of the generation), which means that most parts were extremely expensive and, more importantly, that they were made for that model alone. You can pretty much consider some of them custom made. Similarly, but at even a higher level, can you imagine the prices of repairing the advanced, comprehensive, complicated and “one-off” hydraulic system that operates anything from seats, to windows, to self-closing doors on the Mercedes-Benz 600? And finding a cheap mechanic to work on it and do the job well? This, once again, means that you should be into the car industry, or seek help from someone who knows a lot about it. Get as close as you can, within your price range, to as many of the guidelines (finding a car with all of these features is pretty much impossible) and you should have a sound investment on your hands. There are exceptions, though. The Beetle, despite its lack of performance and huge sales figures, is sure to be worth a lot in about a century, if you are looking to make your great-grandchildren happy. In terms of makes, you should get closer to Europe. This does depend on the generation, but Ferraris seem to be an ever-rising bunch in terms of pricing. The same goes for Porsches and Maseratis. Most Mercedes-Benz classics are sure to make you money, but there are so many options with the Stuttgart-based manufacturer that they need a dedicated article. With a few exceptions (usually British), German and Italian cars are most often the best choice. Speaking about cars manufactured in the US, the GT40 seems like a great idea, but others less so. I’ve already mentioned the Dodge Charger Daytona, but muscle cars’ values keep oscillating, sometimes making their owners money, but sometimes losing it. They are beloved, there’s no question about that, but there are still simply too many of them around. If you are looking to invest in a classic car, you should definitely go after a European one. And you should definitely have fun doing that.